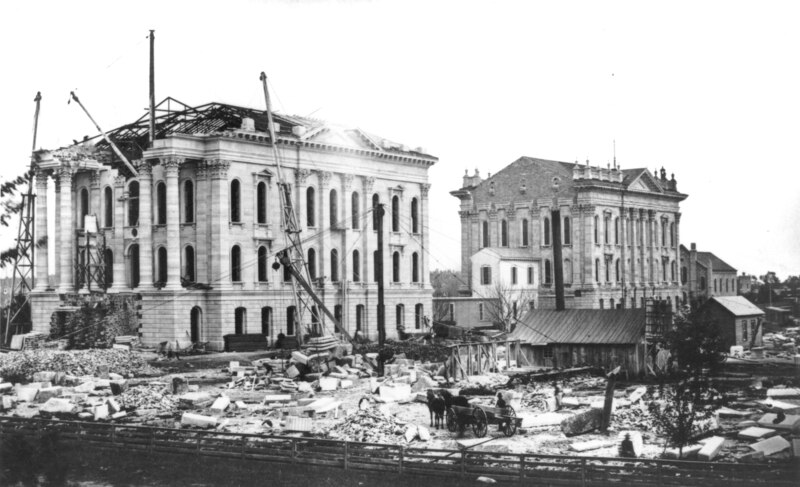 The east wing was the first wing to be built at the Kansas State Capitol. This a view of the east and west wings under construction. 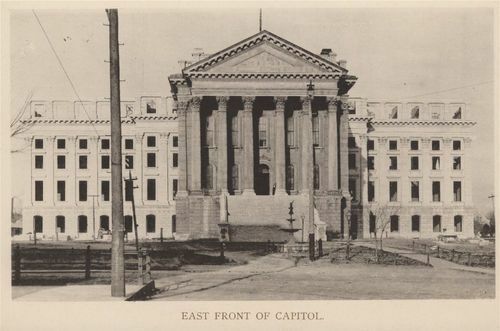 The Capitol was completed in four main phases, the east wing, the west wing, the south wing and the north wing and dome. The current renovation of the Capitol is following this original pattern. The east steps of the Kansas State Capitol face Jackson and Ninth Streets.